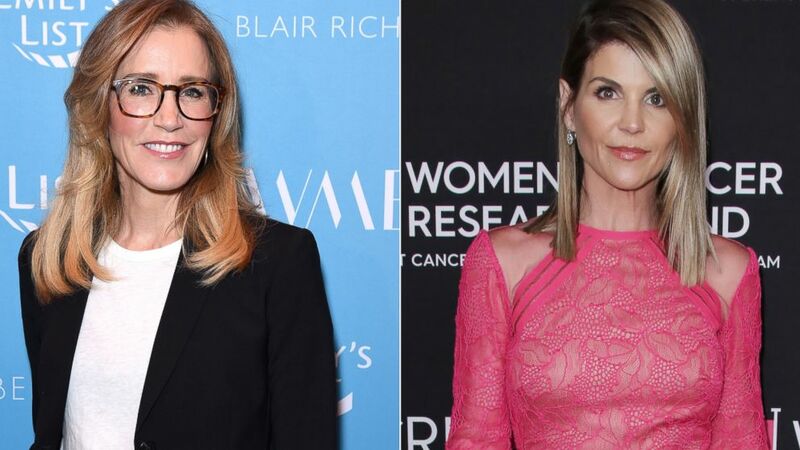 The college admissions cheating scandal that includes charges against about 50 people, including top CEOs as well as actresses Felicity Huffman and Lori Loughlin, has placed a giant spotlight on the inequity of the college admissions process. Those indicted in the investigation, dubbed "Operation Varsity Blues," allegedly paid bribes of up to $6.5 million to get their children into elite colleges, including Yale, Stanford, Georgetown and the University of Southern California, federal prosecutors said. (Getty Images|REX via Shutterstock) Felicity Huffman in Beverly Hills on Feb 19, 2019 in Los Angeles. | Lori Loughlin,in Beverly Hills, Calif., Feb. 28, 2019. Celebrities and wealthy parents are charged in connection to a cheating scandal. Even among families that can't afford major donations, major disparities exist between prospective college students, whether its access to tutoring and test prep, sports and other extracurricular activities or volunteering. The admissions scandal has left many students and parents wondering whether trying to get into college the traditional way -- through hard work -- leaves them with even a fighting chance in what many see as a rigged system. Elizabeth Heaton, a former admissions officer at University of Pennsylvania, said she believes the system "does still work." "I know that my former colleagues and I certainly took the mission very strongly about reading every application and taking in that student’s experience and really trying to advocate for them," said Heaton, now a college admissions consultant at College Coach. "In admissions you look for reasons to admit and I don’t think that has changed." 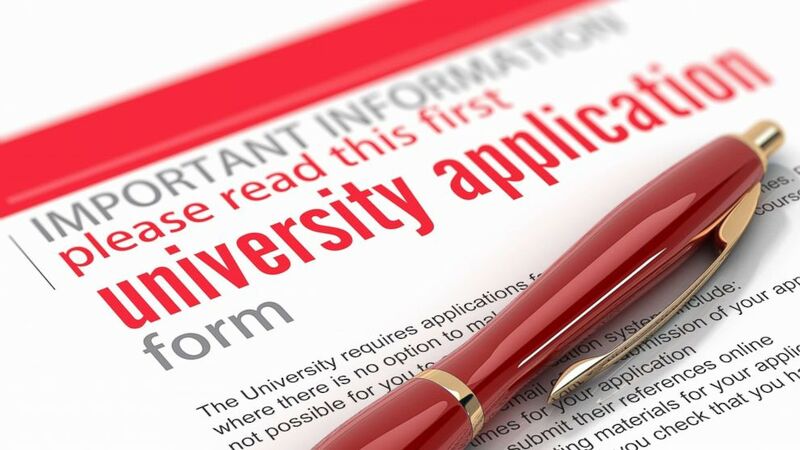 "Good Morning America" asked Heaton and three other college counselors for their tips for students and parents as they try to navigate the college admissions process. "I don’t want this story to be one where students throw their hands up and say, ‘What’s the point?,'" said Bari Norman, a former admissions officer at Barnard College/Columbia University who is now co-founder and director of counseling at Expert Admissions. "This story teaches us there are greedy people doing illegal things, but most of the people who are going through this process are getting in the right way, so that’s what you do," she said. "If you work hard, if you do your best, then you’re on the right track." Whether it's a coach, a teacher, a guidance counselor or a family member, every student needs one adult to help them through the college process, according to Carrie Warick, director of policy and advocacy at the National College Access Network (NCAN), an organization that helps underrepresented students apply for and succeed in college. "Be proactive about finding an adult," Warick said. "There are plenty [who will help]. Students need to just ask and find the right person." "Be yourself and present your best, most authentic version of that self in the application process," he said. "I think there are a lot of people who are 17, 18 years old and aren’t really sure who they are and what that authentic version of themselves is," said Sweeney. "Our job as college counselors and the people who work with them in high school, teachers etc, are all there to help them tease that out and put that best foot forward in the application process and to do that legally, without bribing them with millions of dollars." Norman points out that college admissions officers are not looking for students to be "unusual." "You want the admissions officer to read your application and nod their head because they're in agreement or because they understand where you’re coming from," she said. Heaton's company, College Coach, offers a free podcast and blog with tips and advice. "There is a lot of data to suggest that it matters much more what you do when you go to college, how you engage in that experience, what you major in, than where that all of that takes place," Sweeney said. "You get out of the college experience what you put into it." Sweeney points out that because there are as many as 4,000 colleges in the U.S., we use a ranking system as a shorthand way of defining the schools. Instead, students should "re-imagine" what a good school is for them and turn the tables on people who tell them they are considering or were accepted to a "good school." "What you guys should do is turn it back on them and say, ‘Well, how do you know?'" Sweeney said. "I think you’re going to see some shocked looks on their face because that’s a really hard question to answer." "Who you are is not related to the name on the gates that you walk into in the fall," she said. "You’re going to get to college and that is your opportunity to make the most of it."